The stars behind the reality show sensation Duck Dynasty already conquered television and the literary world, so it’s not a shock to see them outsell some of the biggest names on the music charts. Duck the Halls: A Robertson Family Christmas sold more copies this week than both Britney Spears’ latest album Britney Jean and the sinking fast disk from Lady Gaga, ARTPOP. Halls, released Oct. 29, trumped Spears’ album even though the latter came out Dec. 3. 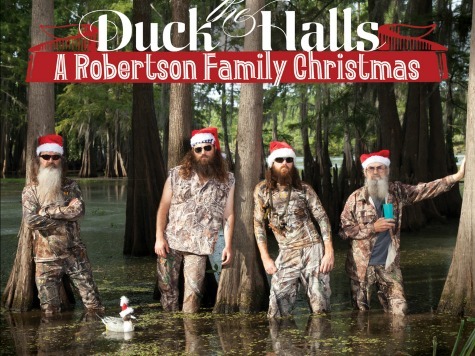 The Robertson’s album features the reality show stars, who grew up singing in church, lending their pipes to classics like I’ll Be Home for Christmas, Baby, It’s Cold Outside and Rudolph, the Red-Nosed Reindeer.